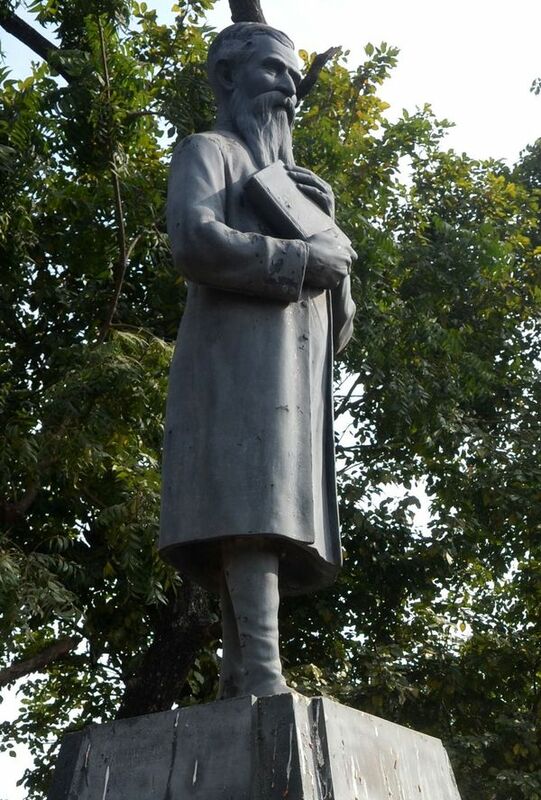 A plaque reads “Robert Caldwell – The Pioneer Dravidian Linguist of Great Britain (1814 – 1891)” – If the had a little more room on the plinth, they might have added “Born in Clady, County Antrim”. And so with Tamil-Irish connections thin on the ground, that’s how I found myself twenty meters up a church tower overlooking the small coastal town of Idaiyankudi boiling alive on probably the hottest, most humid day of the year. Robert Caldwell was born to Scottish parents in Clady not too far outside Belfast (*1). Although moving to Glasgow as a child, it was while later spending three years training as an artist in Dublin that he decided on a path that would lead him to spending fifty years as a Anglican missionary in this far off corner of India. 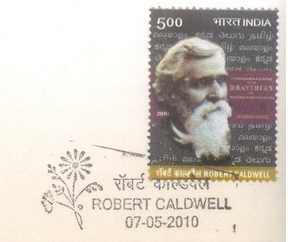 Even today, the pleasant coastal town of Idaiyankudi is well off the beaten track but when Caldwell walked 800 miles to get here at the end of 1841 (at a time when most European missionaries rarely left the larger cities) it was off the map. With famines and cholera epidemics always a threat, it certainly wasn’t the easiest posting he could have asked for. As any student of South Indian languages (the ‘Dravidian‘ languages) will know, Tamil and its language cousins have their own branch of the language family tree separate from northern languages such as Hindi and Urdu. 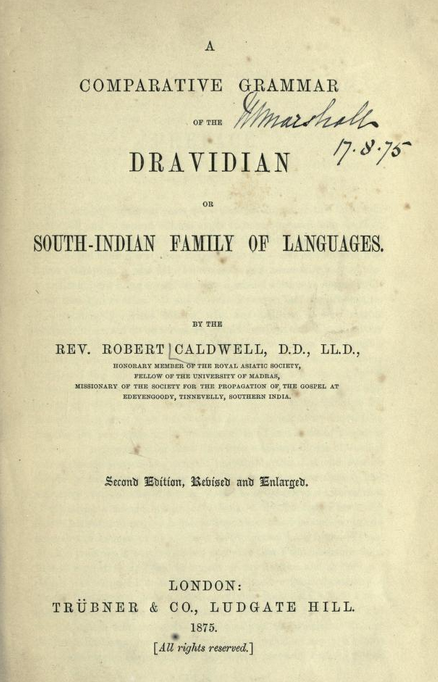 This wasn’t clearly understood though until Caldwell’s book was published (*3) in 1856 when he argued over some 600 pages on how closely related dozens of southern languages were, while also speculating on their origin. The book’s impact went far beyond the world of comparative philology though – by demonstrating the distinctiveness of the languages (and by extension cultures) of the South, it gave a kick-start for south Indian nationalism. It might not have been his intention, but language nationalism remains a big feature of Indian politics right to this day. 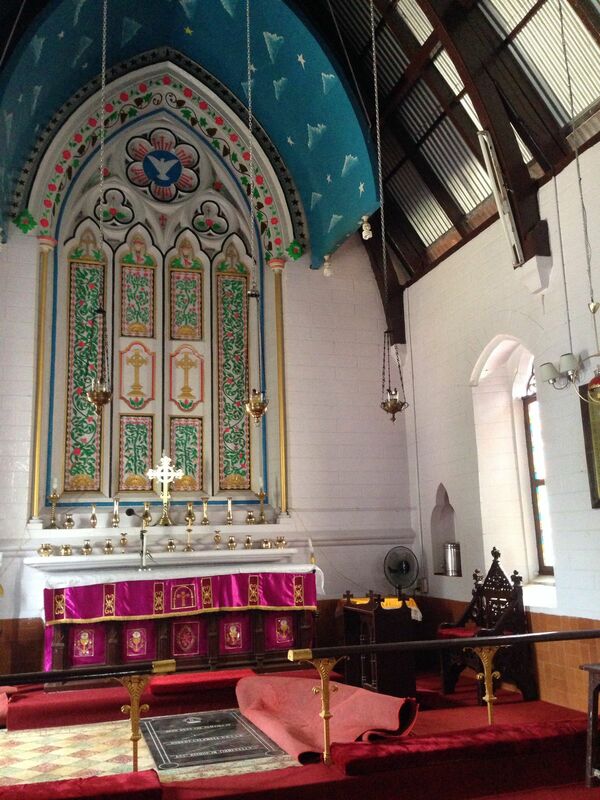 And so, Robert Caldwell is buried his wife Eliza at the altar of the church he built in Idaiyankudi – a long way from Clady. *3 – Out of copyright, Caldwell’s “Comparative Grammar” is nowadays available to read online. This entry was posted in Uncategorized and tagged Clady Antrim, Dravidian, Idaiyankudi, India, Missionary, Philology, Robert Caldwell, Tamil Language, Tamil Nadu on April 15, 2014 by jp1100001.